"I saw an artiste who stuffed a news paper in his private parts and said he was going to wipe his behind with it on stage in front of a respectful crowd....for the first time,I felt ashamed of my career." Now just last Saturday, Bebe Cool who was recovering from the Mukula sentence shock was a best man at a wedding of fellow rastaman Ras B Ssali that was held in Entebbe. In fact he told some of his pals that he was using the opportunity to rehearse for his formal wedding to Zuena. 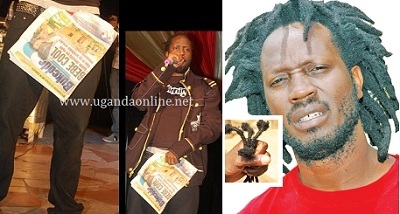 News got to him through Agataliiko Nfuufu that he was the main headline for the next day's Bukedde paper and that ''his ear was bite off''....er dreadlocks were cut off. This got the 'Kamwako' singer angry and promised to use this opportunity to sue them. "I have been waiting for a chance to sue Bukedde coz of the way they have been defaming me for some personal reasons and here it is. I was at a wedding (yesto) yesterday in (Ebz) Entebbe as a Best Man but these donkeys have written that I fought and bouncers cut off my hair, They will have to prove this in court." 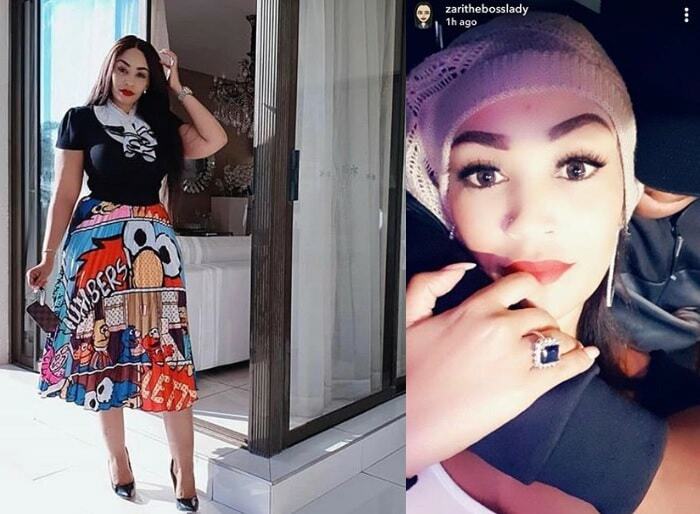 Bebe concluded that: "Mbalina ate mukulemelako ndi mukambwe nyoooo." literally meaning that I've got them this time and there's no way they can get off the hook.